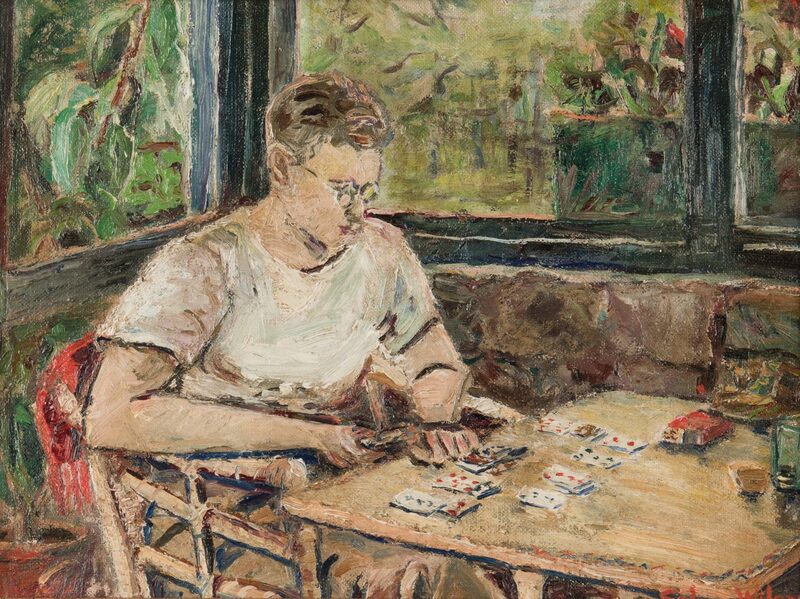 Selma J. Wilson (NY, 20th c.) oil on canvas board,scene of young man in white t-shirt playing solitaire on a screen porch. Artist signed in red, lower rignt. Wood veneered frame with gilt liner. Frame: 11" x 14". Sight: 8 1/8" x 11. Mid-20th century. CONDITION: Very good condition. 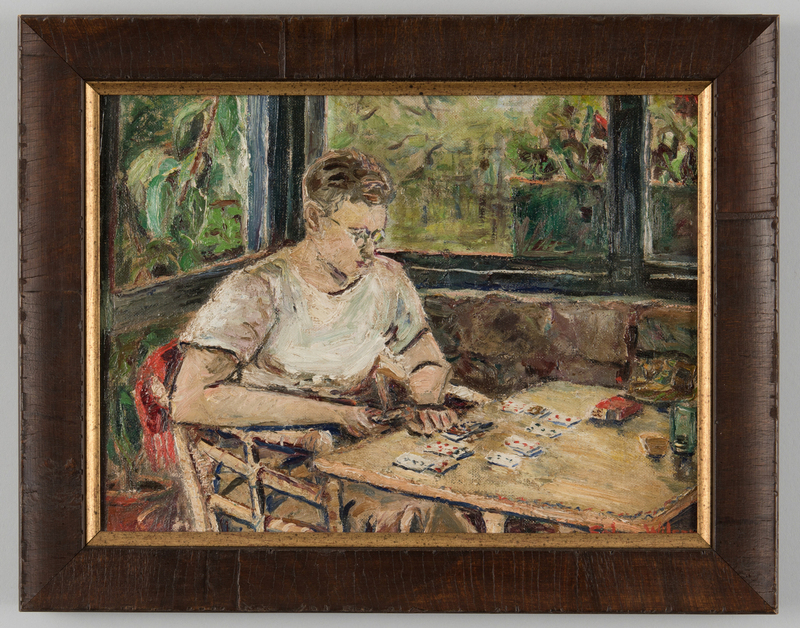 Signature partially hidden by frame.